It’s been way too long since I’ve posted, but that’s because I’ve been so busy! I got booked for the month of October, to have my paintings up in Willow Glen Coffee Roasting Company in San Jose! The coffee shop is so cute. It’s very eclectic and colorful. Each chair is painted with a different design, and even the walls are different colors! They promote a different artist each month. My month will be October! I’ll have my paintings up all month! In addition to having my paintings up, I’ll also be selling bookmarks and cards that I’ll have printed from my paintings. Above: So far, I’ve made a card and two bookmarks. They came out great so I’m now working on more designs! 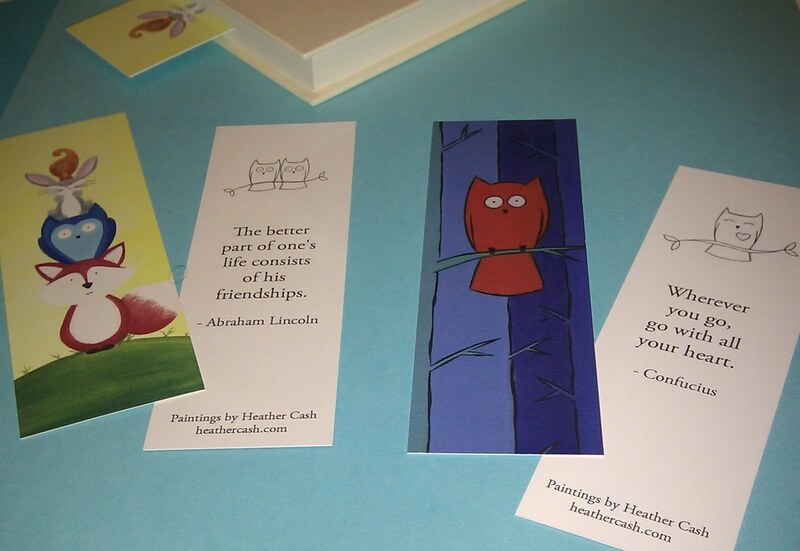 Above: My two bookmark designs, including front and back. 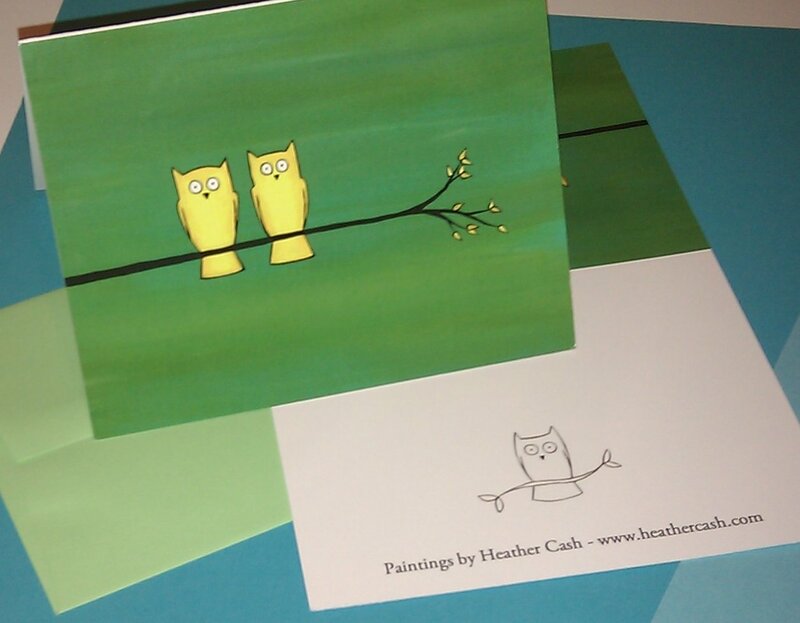 Above: My card design, front and back. The card is blank inside. I’ll give more updates as I make more stuff! So excited for my first ever participation in any kind of art showing!